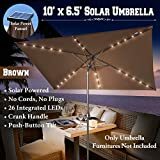 Ideal for all outdoor applications,best decoration for an outdoor party, create an a warm amber glow for your patio, garden, or gazebo. Fantastic light effect could increase the festive atmosphere. 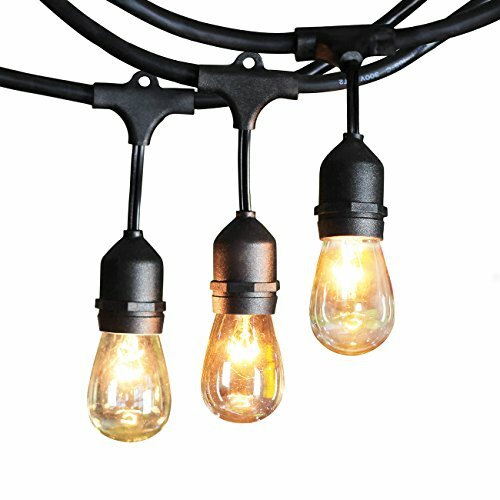 48 feet black rubber weatherproof cord contains 24 weatherproof light sockets, set about 2 feet apart.End-to-end connections,feel free to customize your arrangements. 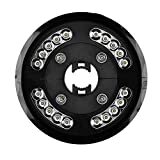 IP44 Weatherproof, commercial-strength casing withstands extreme temperatures and wet weather as your string lights illumine the landscape year-round. 24 bulbs included (We put 2 free extra bulbs in the package as well for replacements. We are devoted to improve your purchase experience with us). Clear 11-watt S14 incandescent bulbs on a 48 feet long heavy duty string.Search ASIN：B01LXSDBRE for 26-pack S14 bulbs for replacement. SHINE HAI stands behind all of our products 100%. Please contact us directly you are not completely satisfied with your purchase, please don't hesitate to contact us, we'll get it resolved as soon as we can. SHINE HAI String Light is ideal light for adding a comfortable atmosphere,give an inviting warm incandescent glow that will bring any room or party to life. anniversary, graduation in style. Impress your bistro, cafe, or party guests with ambience. steel cables can be threaded through the built-in loops above each socket to support and position our light strings. Ample distance among fixtures on a 48 feet cord lets you customize your arrangements. Nothing needed to connect additional sets, they plug into one another, end to end. 1.Please switch off before bulb installation. 2.Handle with care for these bulbs to avoid unnecessary damage. 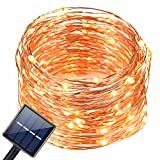 3.Please do not tie the string light together when lighting up, and please keep the minimum space of 3'' near with each other to keep the perfect heat dissipation and lifespan. 4.Do not exceed the maximum wattage of 840W when doing DIY connecting multiple string light sets. 5.If you do not understand how to install, we kindly suggest you contact a professional electrician directly for help.